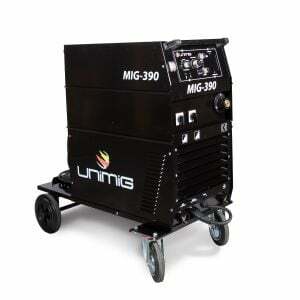 The UNIMIG 390 is a powerful workhorse with an exceptionally high duty cycle. 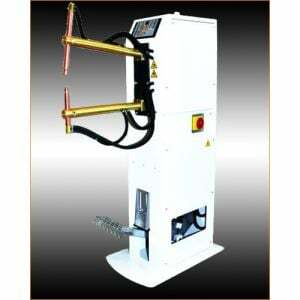 It is ideally suited for medium to heavy fabrication industries as well as rural applications. 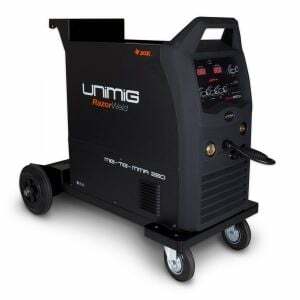 Combining smooth arc characteristics with complete reliability, the UNIMIG 390 is the unit to satisfy all the demands of the professional welder. 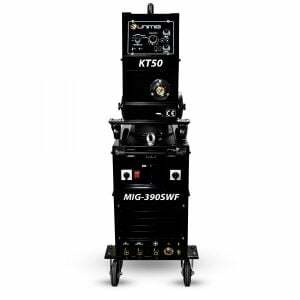 The UNIMIG 390S/D is a dual voltage 415V 3Phase/480V 1 Phase MIG designed for rural applications. 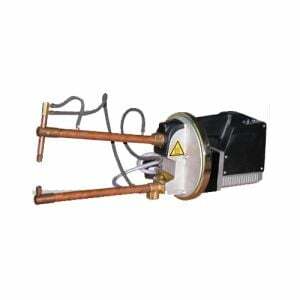 It is supplied with KT 50 separate wire feed unit and 10 Metre interconnecting cables. Fitted standard with a geared four roller drive system ensuring consistent wire feed and smooth welding. Copper wound transformer and smoothing choke, large 300mm cooling fan with enclosed motor, to maximise cooling for high duty cycle operation. 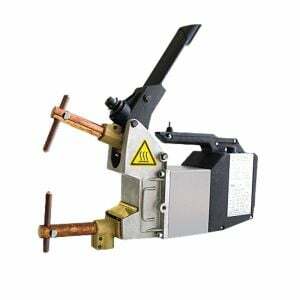 so the operator can achieve the correct weld penetration. 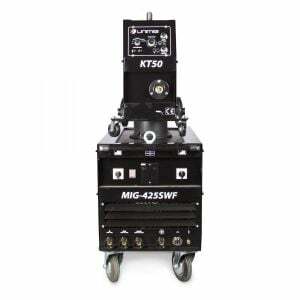 Geared four roller drive unit, featuring 40mm drive rollers for consistent smooth wire feed. Fitted to all workshop machines.